This stole is a great alternative to a cardigan. 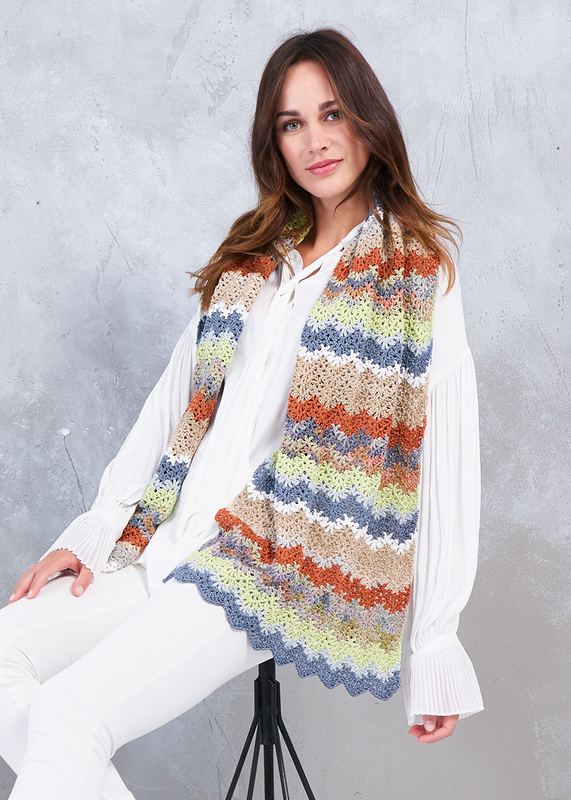 Just combine your favorite colors or, just like for this stole, soft and bold natural hues of the yarns Catania, Summer Ombré and Corsica – the crocheted wave stitch pattern worked in double crochets always looks nice. Thanks to cotton and rayon the stole (appr. 18" wide, 59" long) is comfortable to wear even on warmer days. A great project if you are a novice crocheter!